In heavily trafficked rooms, carpet wears, tears and becomes dirty quickly. It gets monotonous vacuuming and shampooing. 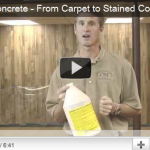 Many people tear up their old carpet, stain the concrete floors and put down an area rug to maintain the room’s comfort. This is a great option for the rooms you use frequent and are tired of cleaning over and over. 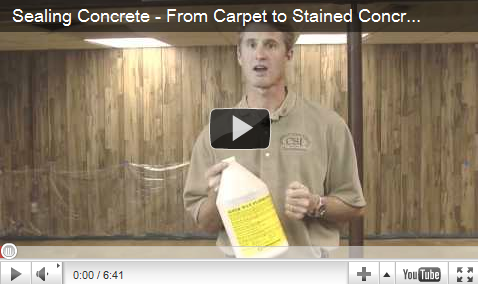 The process is fairly simple: tearing up the carpet, remove carpet glue, stain the concrete floor, then Seal. Sounds Simple, but having a contractor come in sounds more logical…. enjoy the Video! !